Much has changed on the American culinary scene over the last couple of decades, including how to properly match wine to a meal. That was a pretty simple task when dinner usually consisted of protein, a veggie, and a starch. Now, when a meal can be composed from any sort of ingredient sourced anywhere in the world, matching is a tougher trick. The Complete Idiot’s Guide to Wine & Food Pairing: Co-authored by Certified Master Sommelier Jaclyn Stuart and freelance culinary writer Jeanette Hurt, this fun and straight-ahead guide breaks the pairing process into its basic parts. 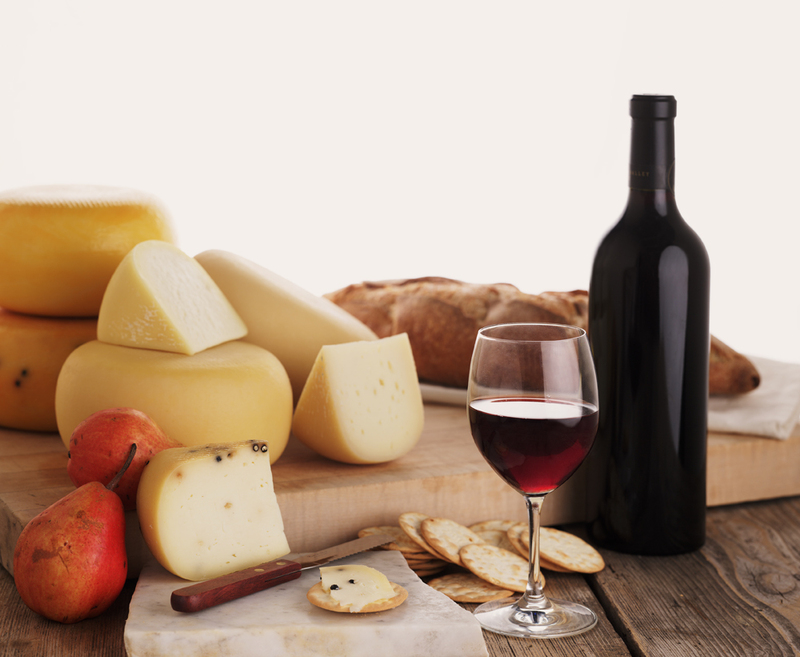 You’ll learn how wine aromas and food flavors work together (or don’t), how to pair by terroir or intuition, how to match wines with Asian, Mexican and other international cuisines, how to plan a pairing party, and a lot more. The final chapter takes the pairing principles you’ve learned and applies them to beer, spirits, coffee, and tea. The authors really drill down into these topics, which is what makes this book rock. I particularly liked the chapter on the science of pairing, which taught me a lot about intensity, acidity and sweetness—and how to work with them. Once you understand a few rules such as “acid likes acid,” it’s easy to pair something like a Chicken Piccata with a high-acid Chardonnay. If you know that “sweet likes salty,” you’ll match those potato chips you're hankering after with a demi-sec sparkling wine. The Appendix, nearly 40 pages long, contains a helpful glossary, a tasting journal, an alphabetical master pairings list (e.g., Club Sandwich with unoaked Chard, sparkling wine, or an Oregon Pinot Noir; Tandoori Chicken with Gewürztraminer, Shiraz or Zin). This book is well worth the $!6.95 list price ($12.95 on Amazon). 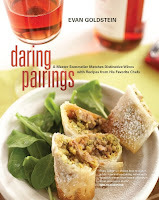 Daring Pairings: A Master Sommelier Matches Distinctive Wines with Receipes from His Favorite Chefs: I received this beautiful book last month when I attended “Unexpected Grapes from Unexpected Places” at Hotel Vitale in San Francisco. This tasting event, hosted by the Wine Institute & the California Association of Winegrape Growers, brought together 150 wines from 15 of the state’s wine regions. The emphasis was on less familiar grapes, blends and regions, and I tried a few wonderful varietals I’d never had before: a Dreirebe from Mokelumne Glen Vineyards (Lodi), an Aglianico from Rosa d’Ooro (Lake County). My fave of all, though, was a familiar varietal, Zinfandel, from a winery and town I'd never heard of: Fitzpatrick Winery in Fair Play, California. The Zin was their 2006: jammy, very-berry, big. This event was immediately followed by a seminar with Daring Pairings author, Master Sommelier Evan Goldstein. Each place had six wine glasses and a plate with nicely-prepared bites to pair with the wines. I would love to tell you what those bites were, but I can’t find my notes, and hey—this happened a month ago. I’ve moved on. Anyway, Goldstein was a delight—an accomplished, lively, and often funny speaker. As for his book, it really is a beauty, filled with photographs of wine and food. It’s intended for those who already know the basics of tasting and pairing. He covers 36 varietals from around the world that you might not have heard of—Albariño, Arneis, Assyrtiko, Mencia, Touriga Nacional, Xinomavro,Txakoli—along with more familiar names like Chenin Blanc, Marsanne and Roussanne. Practical charts and guides will help you deal with all sorts of pairing situations. Goldstein discusses each grape in detail—where it originates, the foods that match well with it (and the ones that don’t). And then, for each grape, a famous chef (a different one for each varietal) has contributed recipes that pair perfectly with the wine. So you’ve got Charlie Trotter’s Salad of Cornish Game Hen with Shitake Mushroom Vinaigrette paired with Gamay; or Vikram Vij’s Ras el Hanout Crab Salad with Onion Rings and matched with a Prosecco; and Gerald Hirigoyen’s White bean and salt cod stew with guindilla peppers paired with Txakoli. This is a good book for anyone who wants to explore unusual varietals or just learn more about the ins and outs of pairing. It’s also a great gift book.